It’s UP!! It’s UP!!! YIPPPEEE!!!!!! And now seeing this I realize how badly we need more decorative pillows! LOL Another thing to add to my make list! I will be away for a few days but when I come back I should have some great pictures to share! 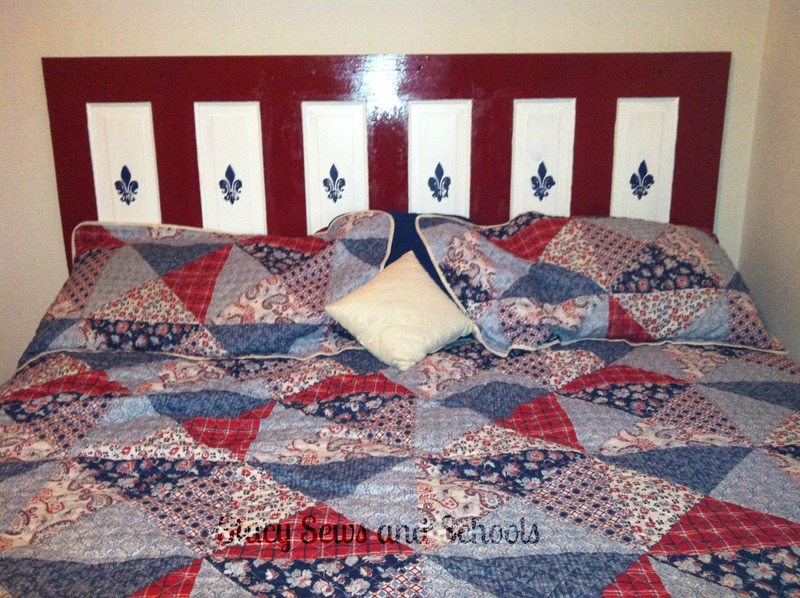 If you want to see the steps I took to make the headboard click HERE!! It looks beautiful, Stacy!! Have fun in the woods! It definitely doesn’t look like a door now! I love it! Woo Hoo. It’s beautiful Stacy. Have fun at Pigeon Forge.. Look forward to the photos. I love this. You’ve inspired me to find a door!